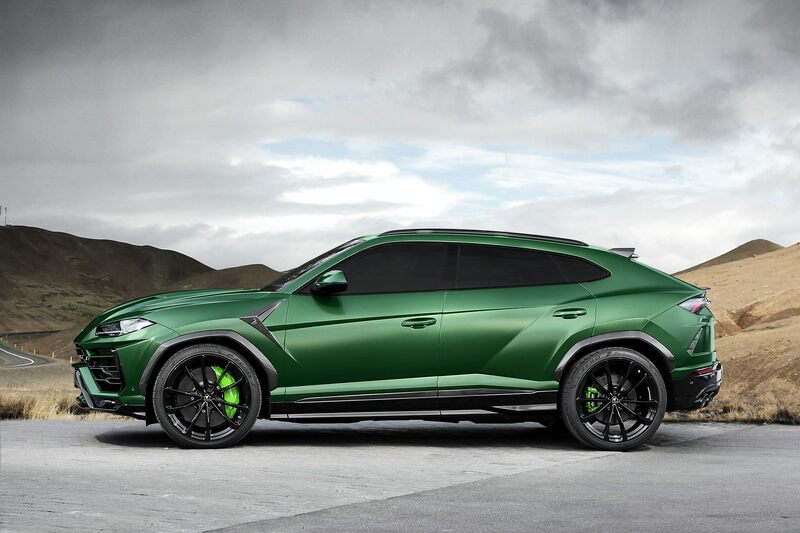 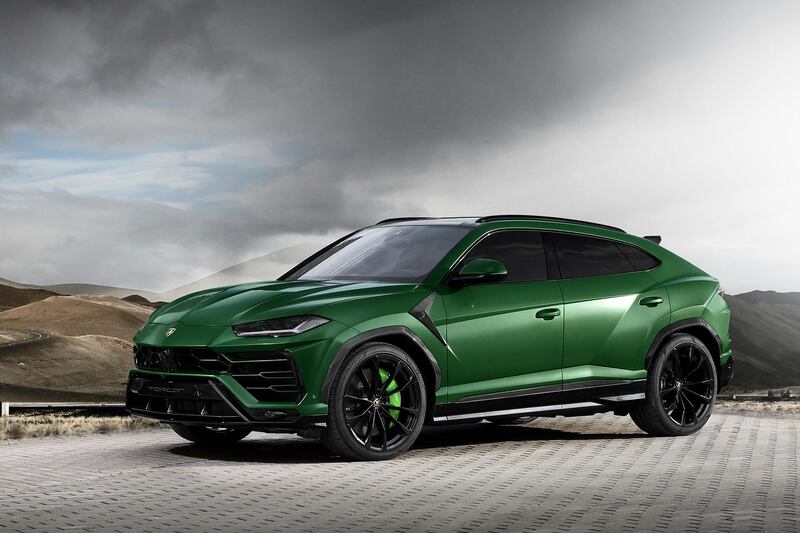 Home Car News TopCar Lamborghini Urus Revealed with Military Green Paint and Camo Carbon! 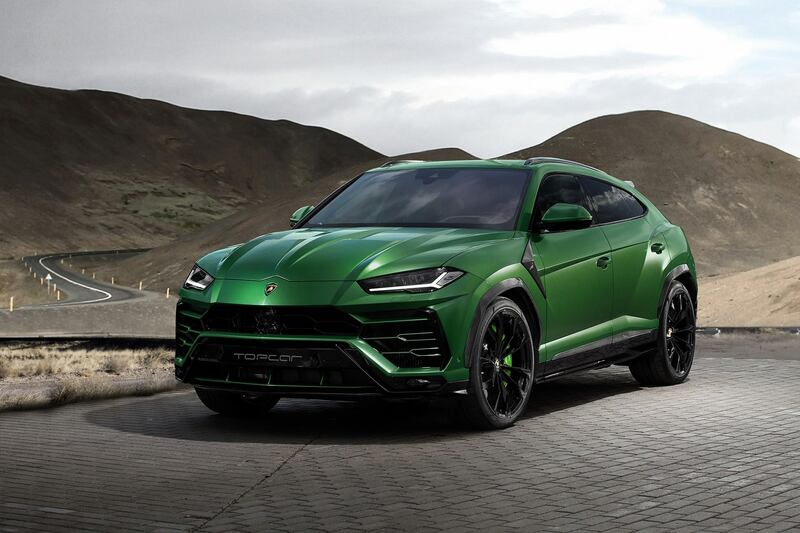 The first tuned Lamborghini Urus has arrived! 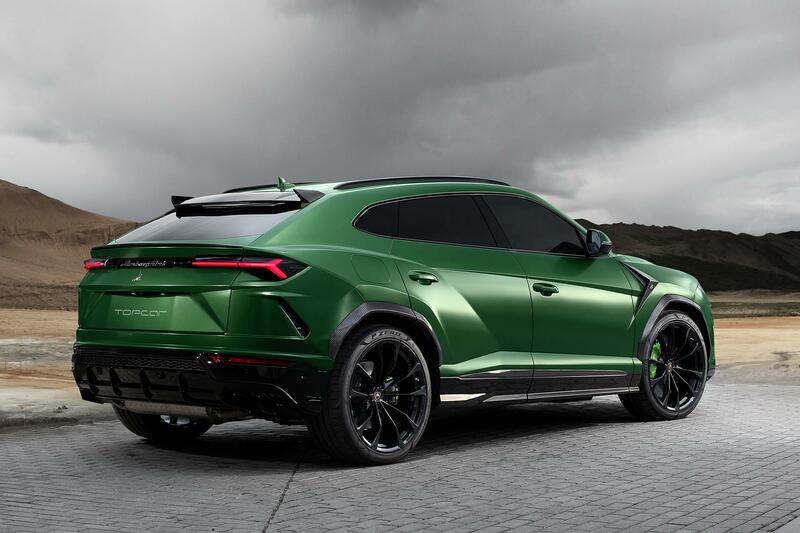 Russian tuner TopCar revealed their design for the Lamborghini Urus some time ago. 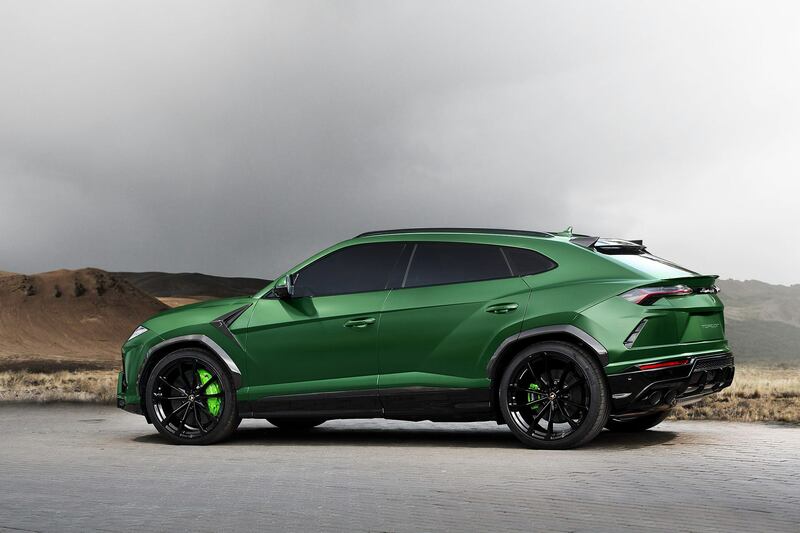 The vision is now reality! 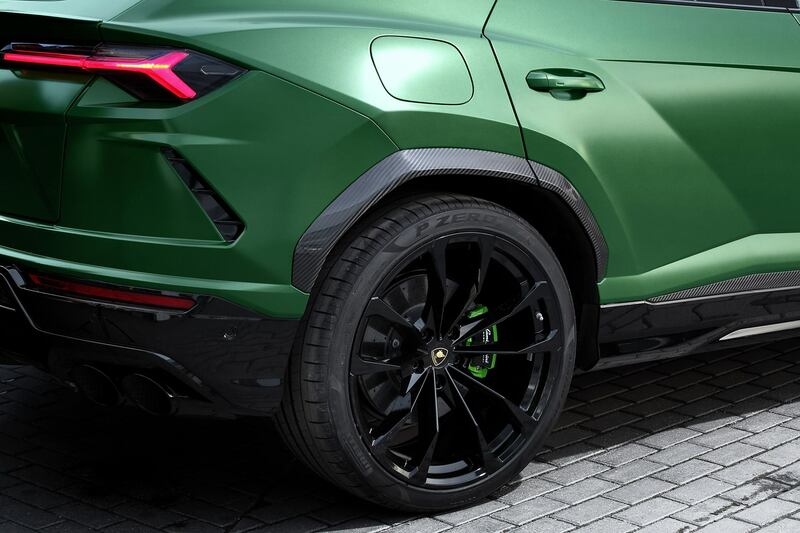 Finished in a semi-matte Military Green colour, the Lamborghini Urus looks more extreme than what Lamborghini delivers through its showrooms. 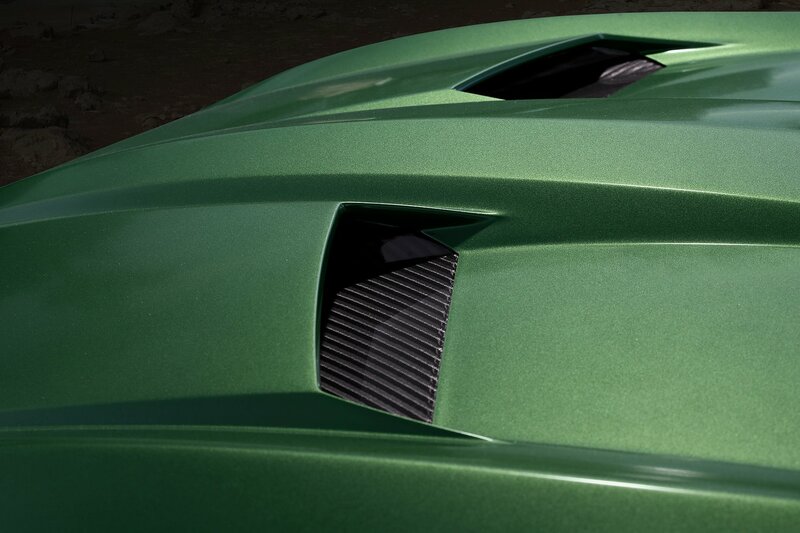 TopCar have obviously been working flat out to put together their first tuning package for a Lamborghini. 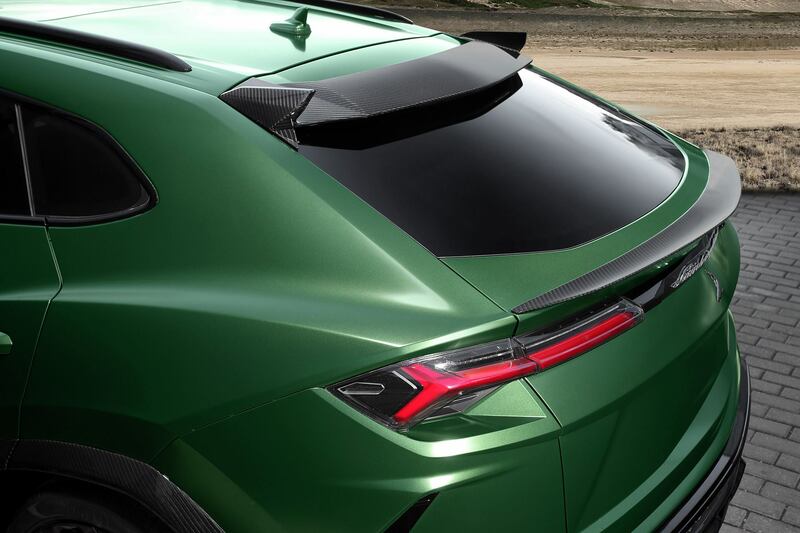 The package includes a new bonnet (or hood depending on which part of the world you come from), front and rear fender extensions, door moldings, rear top spoiler and diffuser. 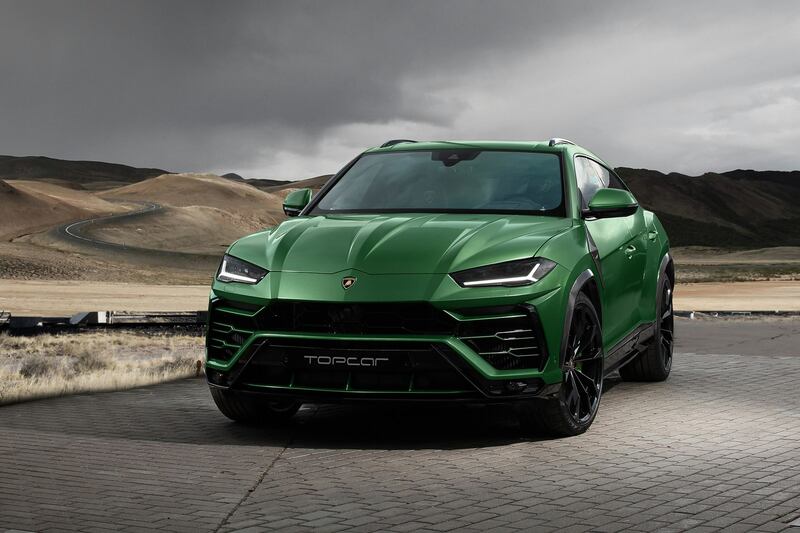 What’s more, TopCar plan to show another Urus soon which will add modifications to the bottom part of the front bumper, a larger rear diffuser, side skirts and a new front and rear bumperset. 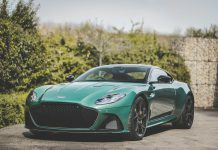 12 pieces are currently on offer. 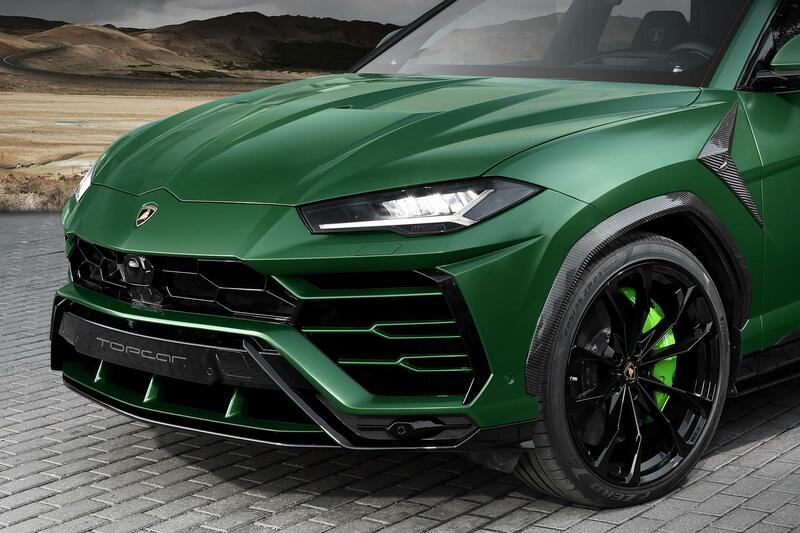 Prices have also been announced and range from €9,160 for the carbon fibre front bumper to €1,400 for the door mouldings. 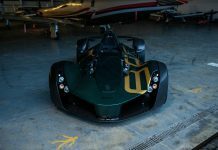 All components are produced in carbon fibre and can be installed individually. 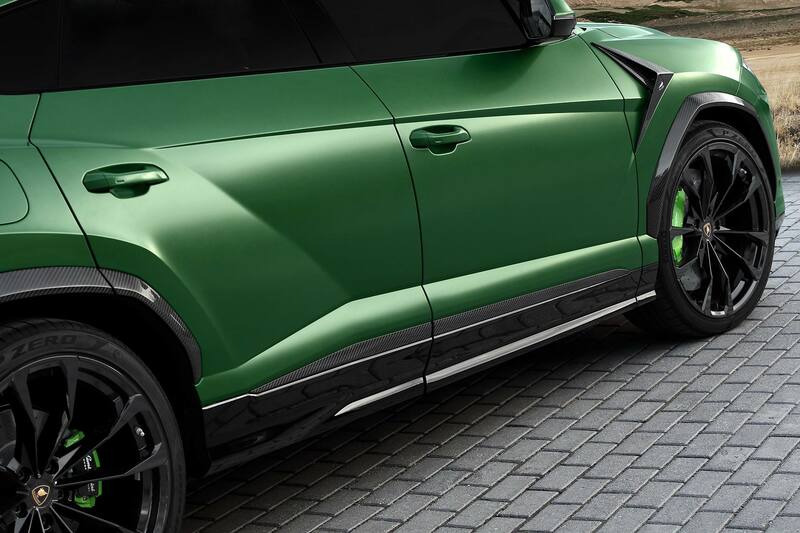 If you like one element, but not the rest, TopCar can cater for you. 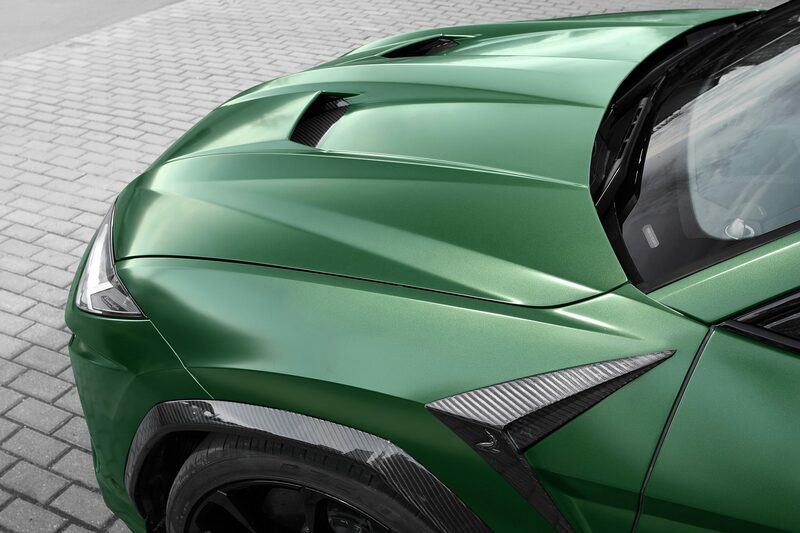 If you baulked at the price of the carbon fibre bonnet, you might want to look a little closer. 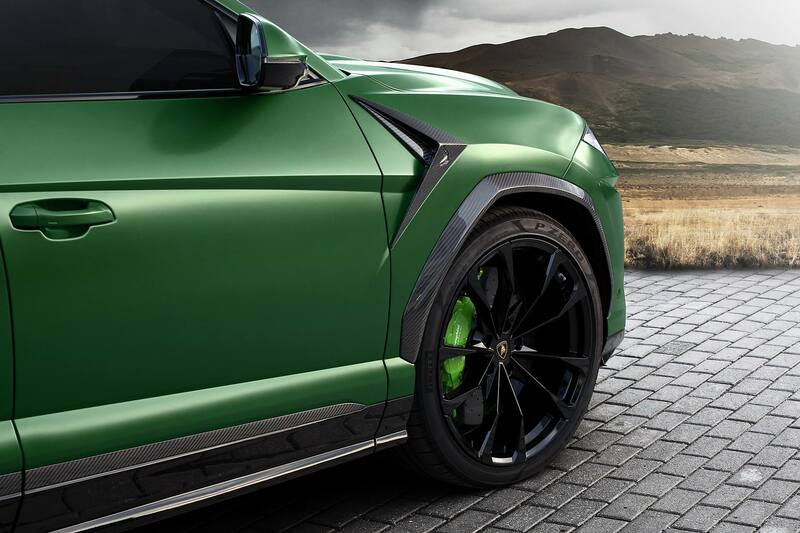 While the overall package is impressive, it is the attention to detail that makes the TopCar Lamborghini Urus so impressive to us. 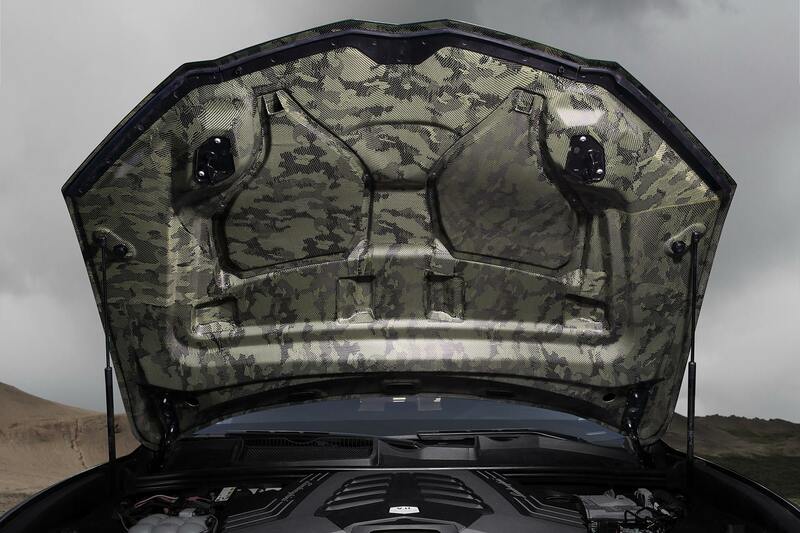 In the photos below you will notice that the carbon fibre work on the underside of the bonnet has been constructed in such a way as to create a camouflage effect. 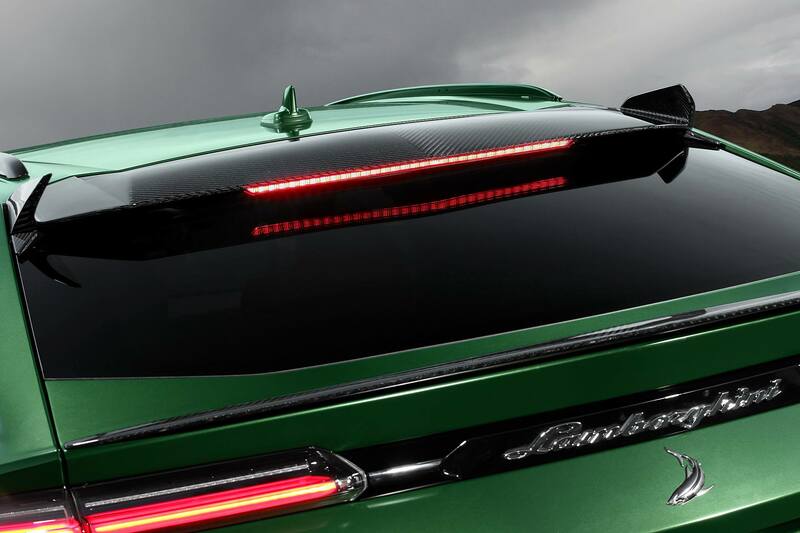 The effect is created by a special carbon Kevlar weave.